Three-star general Irwin (Robert Redford) is sent to military prison after he is court-martialed and stripped of his rank for disobeying the Presidenta��s order. The prison is run by the high-handed Colonel Winter (James Gandolfini) who secretly respects the legendary Irwin. But when Irwin constantly finds fault with Winter, it becomes an ongoing animosity between the two. While Winter thinks he has the power, Irwin turns the table by getting support from the prisoners. In the scenes depicting the helicopter battle, Ruffalo performed all his own stunts. Drawn apart by fate, brothers Vijay (Amitabh Bachchan) and Ravi (Shashi Kapoor) lead vastly different lives. Vijay, haunted by his fathera��s pasta��of being branded a thiefa��falls into the same line and earns a living smuggling. On the other hand, Ravi becomes a police officer. When he questions Vijaya��s source of wealth, everything unravels. While their mother (Nirupa Roy) is torn between her two sons, she want her favourite, Vijay, to stop his criminal ways. Will the smuggler turn himself in or face his brothera��s ire? Last year, Bachchan revealed that the knotted-shirt look he wore in the film was by accident. a�?The knotted shirt and rope on the shoulder in Deewaar was an adjustment made for an error in stitching. The shirt was too long so I knotted it.a�? Set 10 years after the Simian Flu destroyed what we know of the human civilisation, this one sees a group of survivor scientists in San Francisco, led by Dreyfus (Gary Oldman), struggling to survive. Caesar (Andy Serkis) is the leader of the apes and builds up a good relationship with the human Malcom (Jason Clarke), after they unexpectedly meet in the jungle. 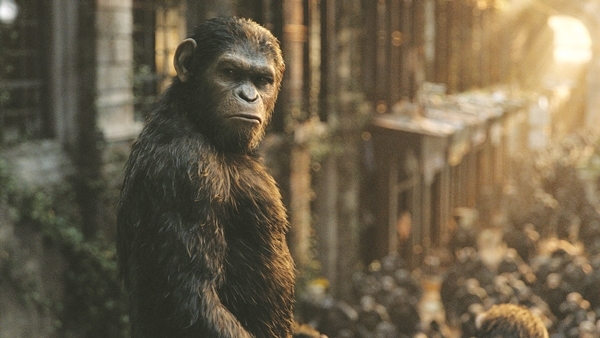 While the apes want to carry on the truce with humans, one rogue primate, Koba, is against it. His anger is fuelled when he finds an armory in Caesar’s territory, leading him to attack his own kind. He shoots Caesar and his supporters, leaving the apes seemingly lost without the alpha. He also slyly frames Malcom to spark off a full-fledged war on the humans. The photographs which Oldmansa�� character has in his home and office are his real life ones.